For 40 years, the Association of Certified Biblical Counselors (ACBC) has been certifying biblical counselors to ensure doctrinal integrity and to promote excellence in biblical counseling. We offer a comprehensive biblical counseling certification that is rigorous, but attainable by even the busiest pastor. The biblical counseling certification phases include Learning, Exams, and Supervision. CDTs are designed to help equip disciples of Christ to grow in their faith and help others do the same. The conference will cover a wide range of issues dealing with various problems in the Christian life. 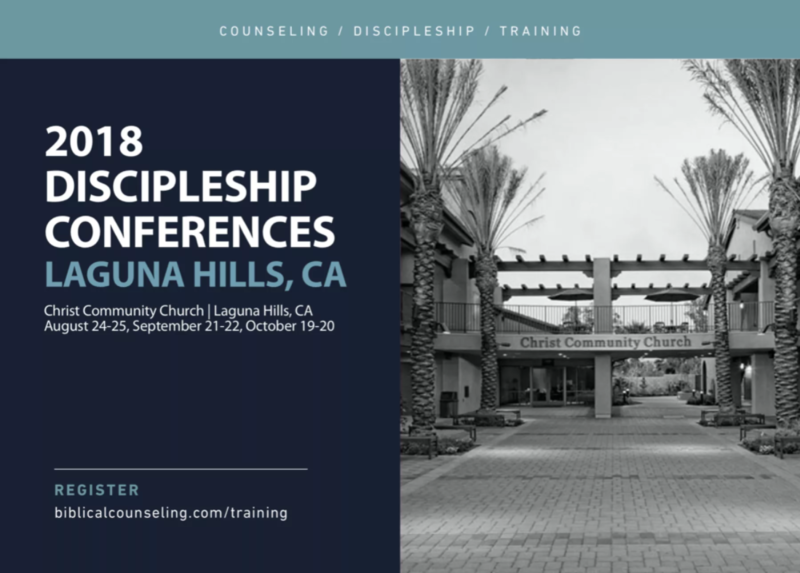 Whether you are a pastor, counselor or church member, this conference is for you. The Fundamentals track also completes the training portion of Phase 1 for those pursuing certification. 30 hours of training from 6 speakers over the course of three weekends. Conference admission includes a conference booklet and lunch on the Saturday of each weekend. The cost of the conference is designed to be a inexpensiveas possible. It is less than $100 per weekend. For those pursuing certification, this completes the required hours of teaching for phase one.